Explore the furthest corners of the world with a trusted logistics partner. 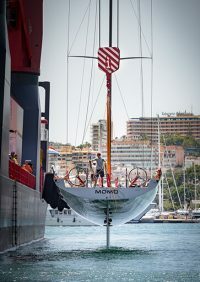 Compete Marine Freight: Making Your Sailing Adventures Happen. 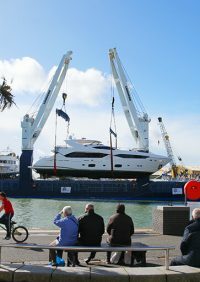 We are a small, global team offering an incredibly personal yacht transport service for those who are serious about sailing or selling yachts and boats. 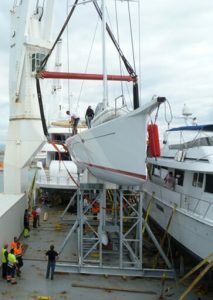 At CMF we understand your needs whether shipping a superyacht or trucking a small motorboat, air freighting a mast, transporting spares or simply couriering documentation. 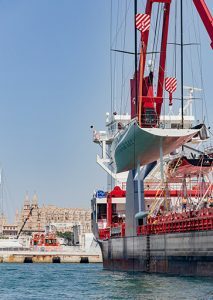 Whether you require complete race team logistics or need to ship a newly manufactured yacht, we will find you the safest and most on time solution. We are always fast and transparent with information, working alongside you every step of the way. options for your specific requirements. 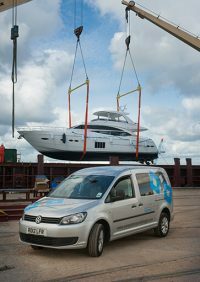 You will have one point of contact throughout your shipment so sit back and relax whilst we ship your boat around the world. By the way thank you very much for all the efforts. You are proving to be great professionals. It was the right choice have decided to work with you…! Hopefully the Norwegian summer will be better than the one we had this year. We changed to Complete Marine Freight because we needed faster delivery with better service. They have been able to provide that and we would more than recommend them to anyone who deals with the stress and strain of the ridiculous time frames imposed by the nature of the nautical industry. 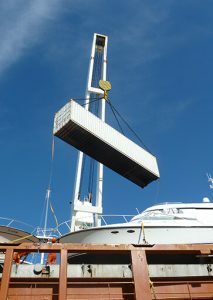 US Sailing has been working with Complete Marine Freight for 3 years to jumpstart our annual European Season. 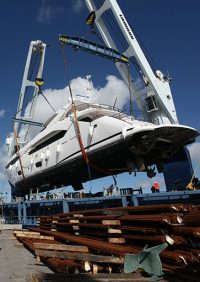 With outstanding communication and solid teamwork, it is a pleasure to work with them on our logistics and storage. Our Olympic sailors are in good hands with CMF. We have used CMF to truck our boats through Europe for the last 2 seasons. They are always available, offer you a fast response on quotes, react fast if issues arise and a real bonus is their pricing is always very competitive. CMF has helped us out with the logistics throughout the build of the boat up in Holland. 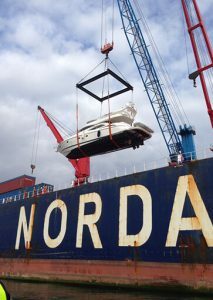 They trucked our support container and 52ft tender from Holland to Turkey where the boat was commissioned. 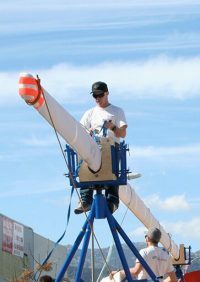 Now they handle all of our spares deliveries, we maintain a storage facility through them so we can store spares with them and have them sent to wherever we are. All in all a great service and I would highly recommend them. We are very grateful to CMF for their determination to help us keep to our schedule. 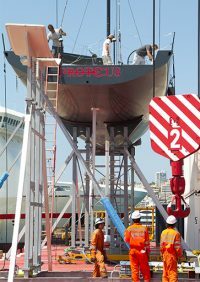 Their efforts and support, working together with our technical teams from the shipyard in Denmark, left no doubt and no stone unturned for the right outcome. A big thankyou to all the team. Working with race boats and tight schedules, time is normally not on your side. Working with CMF since their opening in 2009, time came on our side. 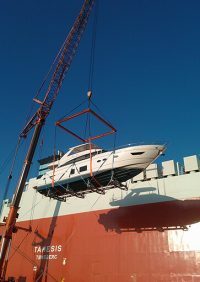 No matter on the island or international shipping of boats, containers, spares and custom clearance they are right down to task to deliver right on time. Fully professional, right on point. Thats what i’m talking about! I would highly recommend them, if you prefer trouble free shipping. 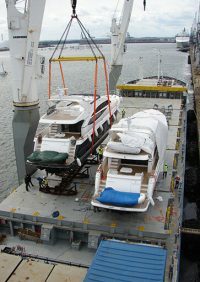 We have worked the last years with CMF logistics- we have shipped with them Yachts to Brazil, Finland, Cayman islands and many more..It is a Professional company with excellent service, always available and very helpful even in last minute requests and changes! We enjoyed working with the team. On behalf of Southern Spars NZ I would like to thank the team at Complete Marine Freight in Spain for their efforts over the last few years. 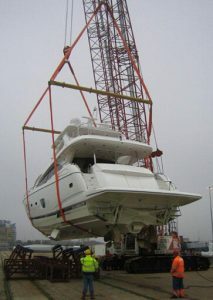 Moving our product around Europe can be quite challenging and demanding yet CMF never fail to deliver. I would particularly like to highlight and commend them on their fast and consistent communication. It makes coordinating difficult shipments from the other side of the world a little easier.